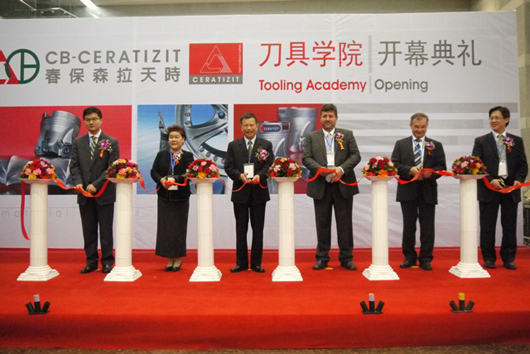 CB-CERATIZIT has opened a Tooling Academy Centre in Tianjin, China on Nov. 28th 2011! It has been one year since the joint venture between CB Carbide and CERATIZIT. The merger and the establishment of the Tooling Academy Centre have kicked off the coalition of east and west come together as one. It has marked an important milestone in CB-CERATIZIT Group’s history, expanding in the Asian cutting tool market. The Academy will focus on providing Asia-Pacific customers with professional trainings, informative seminars and cutting tool testing services.